Vidya Sury is a delightful blogger whom I am blessed to have met through the A to Z Blogging Challenge in April. Joining her on the Gratitude Circle this fourth Thursday in May seemed ideal. Without further ado, here are five things for which I'm grateful. 2. Mom is expected to be fine. ~whew~ Though prayers and thoughts would still be appreciated as she will likely need knee replacement surgery. 3. To my dad for looking out for her and taking good care. 4. To my sister-in-law who is taking time out of her busy nursing schedule today to check in on Mom. The bouquet was not cheap, but well worth the money to brighten my mom's day when my parents live way too far away for a quick visit. You can find my dear new friend at Vidya Sury - Going A-Musing, Collecting Smiles. I hope you'll join us. In the meantime, have a blessed day! Watching the show "American Pickers" yesterday, I heard something fun. The guys said that your cowboy name would be the first car you ever owned paired with the last name of the first love interest you ever kissed. Mine would be Regal Blinco, which I think sounds pretty darn cool. What about you? my home is filled with laughter. I enjoyed a wonderful week visiting the Atlantic Ocean. the spring weather appears amenable to planting annual flowers and vegetables (note the operative word ~grin~). it’s still early enough that I can visit the YMCA and achieve some other chores before lunch. for plastics which, despite various negative connotations, make my modern life so much more comfortable than I can imagine without the stuff. Since my daily journal entries open with five blessings per Julia Cameron’s “The Artist’s Way” teachings, I hope to keep the lists varied. It’s a rare day that nothing comes to mind even if there are perennial repeats I cannot avoid. At any rate, the title for this came to me shortly before rising for the day. Is “tidings” too antiquated a word? I’d appreciate suggestions, as well as reading what blessings you can name today. When we have a group linky set up on the Retreat, I’ll share that here and you are welcome to add an entry from your own blog if you wish. Happy Tuesday! On vacation last week, I found this really cute rug for either my kitchen or bathroom (I haven't yet decided). The colors and ocean crab theme fit the bathroom but would also work near my dishwasher to reduce foot fatigue, as well. Well, my cats like the new rug right where it is, not far from their food bowls. They've been taking turns on it. Today, Tilly really cracked me up because I sometimes call her Jelly Bean when she lies around with her round belly hanging out. And guess what name the manufacturer's chose for their rug brand? 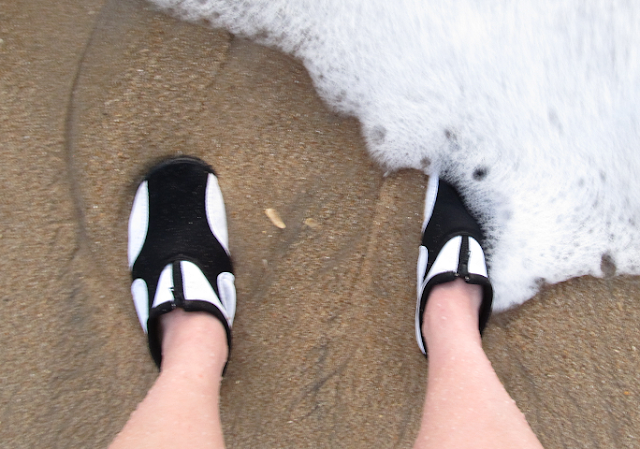 This first week of May I am sitting with a door open upon the Atlantic Ocean. It's delightful, and the view helps inspire introspection. This seemed the perfect time to write my reflections upon the April challenge. First off, I felt the moderators did a wonderful job. Several of these fine folks did visit my posts, both here and on the Artist's Retreat blog. And they left very bolstering, friendly comments. The guidelines seemed to be ignored by many bloggers, but on the flip side some very friendly participants reminded me to include my website's location within comments. That really does help others to find you, and many took that opportunity to make a kindly reciprocating stop. I know of one person who dropped out due to a lack of comments from others. Perhaps she missed out on this directive. There are so many wonderful folks I want to mention. Talented author Catherine Noon is one because she introduced me to blogging and inspires me on a regular basis in all things writing and beyond. Vidya Sury kindly mentioned me on her blog in thanks for my encouragement when she truly inspired me with her lovely theme of writing for her son. 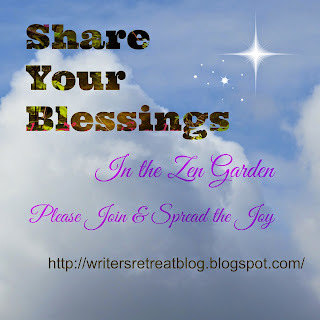 And we plan to begin sharing blessings weekly on that aforementioned Writer's Retreat Blog. That should be a fun way to spread love and joy. Keith really wound me up for writing flash fiction for he is a master. 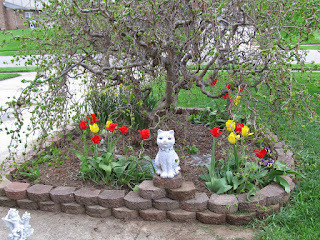 And he had sweet commentary for me whether I blogged about gardening, music, or celebrities. I look forward to his return from a fantastic sounding visit to Turkey. Travel safely, Keith! The Squirrel Nutwork is a fantastic resource on nature in Virginia hosted by a foursome of delightful squirrel characters. Nutmeg and company are a joy. I continue following them for wonderful images and information. 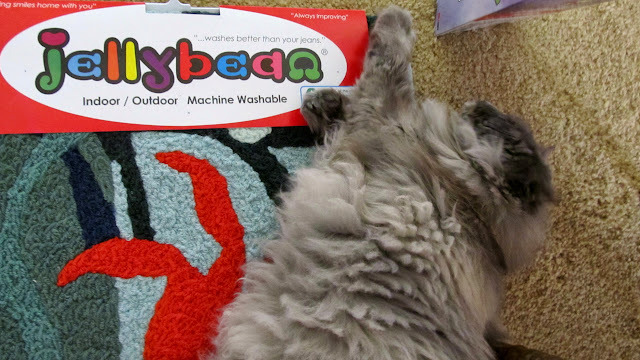 Moggies and all things cat-tastic can be found at That's Purrfect. I'm addicted, and Carlton the cat is a delight. If you want to read about a hero to feline strays, look no further than The Cat Woman. I count my blessings when reading the stories by Drusilla Barron about her difficult childhood and equally thank heaven that she came through the other side with such an obviously awesome attitude. Would I do the challenge again? I think that answer is a resounding YES. 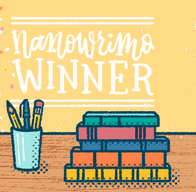 Will I also do the Camp NaNoWriMo novel challenge simultaneously? Probably. April was interesting, for sure. Happy May, all! I look forward to gardening upon my return home.